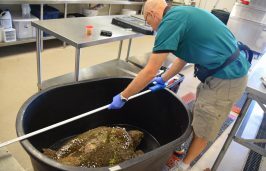 MANTEO – The nearly 40 cold-stunned sea turtles that were found washed ashore on the Outer Banks are being treated at the North Carolina Aquarium on Roanoke Island Sea Turtle Assistance and Rehabilitation, or STAR, Center. There has been an increase in stranded, cold-stunned turtles found from Hatteras to Ocracoke since Jan. 1, the aquarium announced Jan. 24. 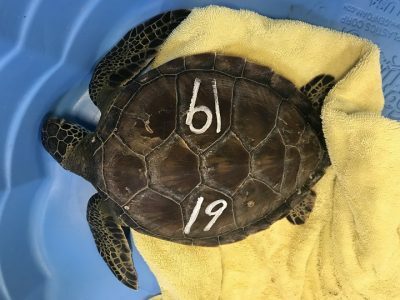 As of Jan. 23, there were 20 green sea turtles, 13 Kemp’s ridley and four loggerheads undergoing treatment in the STAR Center. Sea turtles become cold stunned when water temperatures rapidly drop before the animals are able to reach the warmer waters of the Gulf Stream. Turtles impacted by cold-stunning experience hypothermia-like symptoms and are often found stranded on beaches and in soundside marshes. Cold-stunned turtles are recovered each winter in need of treatment but that number varies. 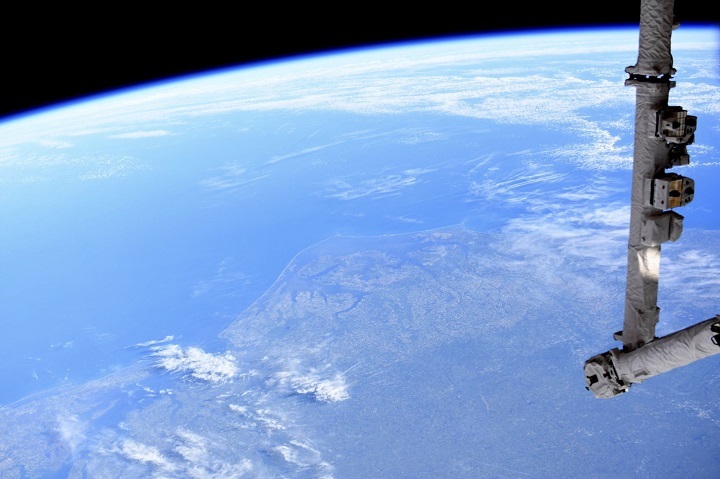 The Network for Endangered Sea Turtles, or NEST, the U.S. Coast Guard, the National Park Service and other agencies work with the STAR Center to release as many of these turtles back to the ocean as possible. Anyone who finds a stranded sea turtle should call NEST at 252-441-8622 to reach one of the volunteers that specialized training to recover and transport sick or injured turtles. When transported to the STAR Center, the cold-stunned sea turtle undergoes an initial intake to measure vital signs, examine blood and check for injuries or illness before being slowly warmed back up. The turtles are monitored closely, and when they are swimming and eating normally, a final check by the North Carolina Aquariums veterinarian staff will clear them for release. The STAR Center continues year-round rehabilitation of sea turtles rescued from various scenarios, from boat strikes to pneumonia, but a cold-stun events use extra resources and supplies. 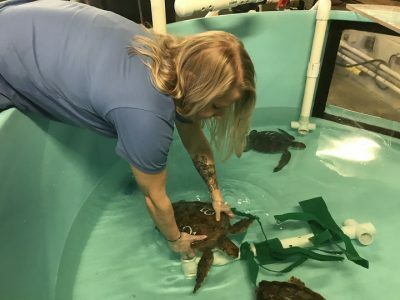 In response to the public’s desire to contribute to cold-stun rehabilitation, the North Carolina Aquarium on Roanoke Island has set up an Amazon Wish List online where users can purchase medical supplies directly for turtles in the STAR Center. 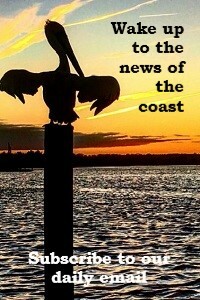 The aquarium is open 9 a.m. to 5 p.m. every day except Thanksgiving and Christmas.